Background: The prevailing percutaneous treatment options for herniated non-contained lumbar discs have not reliably achieved the same good results as the conventional microsurgical techniques. In this study we evaluated clinical outcome and complication rate following endoscopic percutaneous transforaminal treatment of extruded or sequestrated herniated lumbar discs in 122 patients with a follow-up period of more than one year. Method: Between October 1997 and December 2000, 86 male and 36 female patients with a median age of 55 years (range 18 to 89 years) underwent endoscopic treatment for non-contained herniated lumbar discs at our department. Neurological controls were conducted after 4 to 8 weeks routinely and the clinical result was reassessed at a follow-up of 15 to 53 months (median 35 months) according to the Macnab scale and Prolo outcome score. Findings: On follow-up examination, 96 patients were found with permanently ameliorated or normal clinical status following endoscopy alone. The remaining 26 cases with unchanged or only temporarily improved neurological disorders were submitted to conventional microsurgical interventions. Spinal nerve root injury during endoscopic treatment occurred in two patients but no additional neurological deficits or aggravation of pre-existing disorders were observed. Interpretation: Due to the minimal invasivity, the good functional outcome (78.7% clinical amelioration) and the low complication rate (1.6%), this procedure represents an attractive and efficient treatment alternative especially for foraminal and extraforaminal herniated lumbar discs and reduces the indications for open surgery in selected cases. Keywords: Lumbar disc herniation; endoscopy; transforaminal; minimally invasive. 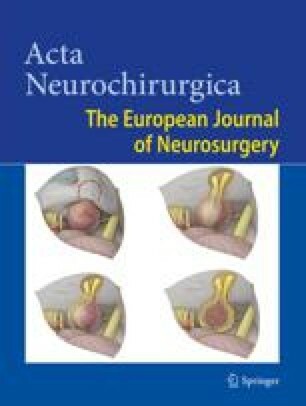 Correspondence: Sandro Eustacchio, M.D., Department of Neurosurgery, Karl-Franzens University, Auenbruggerplatz 29, A-8036 Graz, Austria.